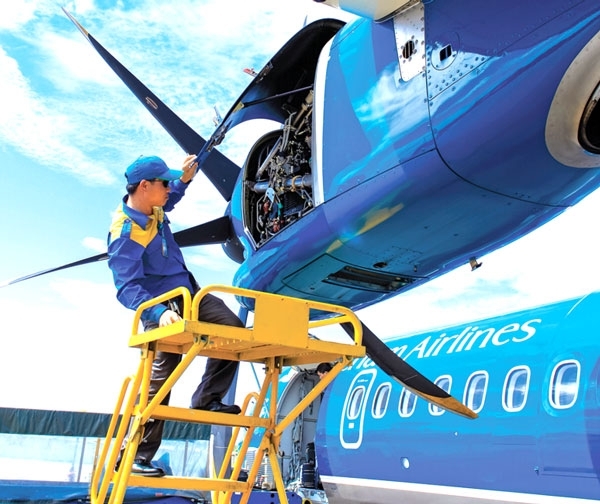 HA NOI (VNS) — A debate has broken out over a recent circular released by the Ministry of Transport that requires skilled airline employees who wish to resign to give 120 days notice, which is much longer than the time required by the Labour Code. The circular will come into effect on October 1. The circular was officially issued five months after the Ministry announced a controversial draft circular requiring skilled airline employees to give notice of at least 180 days. Earlier this year, more than 100 Vietnam Airlines (VNA) employees applied for leave at the same time prior to a go-slow strike demanding better payment, but their demands were rejected. Anticipating the seriousness of the problem, VNA asked Minister of Transport Dinh La Thang to intervene, who then directed the Civil Aviation Authority of Viet Nam (CAAV) to decline all applications for leave by VNA employees temporarily in an effort to ensure the smooth running of the airline. The new circular includes pilots and maintenance staff, and has triggered a debate among aviation firms and legal experts. Lawyer Pham Thanh Binh, director of the Bao Ngoc law company, told online newspaper VnExpress that the circular was contrary to the Labour Code. Under the Labour Code, an employee working under a labour contract without a definite term is entitled to unilaterally terminate the labour contract but must notify the employer at least 45 days in advance. For those with labour contracts ranging from one year to three years, the required notice period is 30 days. He said the circular violated the Labour Code and discriminated between aviation staff and people working in other sectors. Contrary to Binh's opinion, Trinh Thi Hang Nga, head of the Ministry of Transport's Legislation Department, told the newspaper that Article 70 of the Law on Civil Aviation allowed the Transport Minister to fix a special labour regime for aviation staff. VNA General Director Pham Ngoc Minh said he supported the regulations because most domestic airlines set business plans, including flight and staff schedules, on a six-month basis, so this condition was appropriate.